Tom Standage is the digital editor of the Economist, responsible for its appearance in many electronic forms: web, native apps, digital audio, and more. Tom also regularly writes fascinating non-fiction titles that teach us about the present through the lens of the past, such as The Victorian Internet about the business and culture of telegraphy and Writing on the Wall, about the first 2,000 years of social networking. Host Glenn Fleishman spoke with Tom about finishability, completism, and the raging endless river of content. We also discuss the reasoning behind the Economist's new bite-sized daily Espresso app, pulling back from blogs, and the importance of audio — both podcasts and the professionally read-aloud versions of every article. The Periodicalist is an irregularly produced series looking for a sponsor to help underwrite regular production of episodes. We would love to find a partner that wants to feature the podcast as part of their larger efforts at looking at the future of publishing. Get in touch if you're interested. Somethin’ Else runs six studios in parallel on Thursdays for the Economist audio edition. Phil Gyford coined the term "finishability." Tom wrote about wet-plate photography on Vantage, a collection at Medium: "A First-Timer’s Foray Into Wet-Plate Photography." Economist editor John Micklethwait, the 16th since its founding in 1843 and in charge for the last nine years, is departing after nearly three decades at the newspaper for Bloomberg News. My blog entry about Twitter friendship was mentioned by company founder Biz Stone and the link heavily retweeted, and yet had only modest readership. App-download completion rates vary by app size in megabytes and the country in which it's downloaded. Why are The Economist’s writers anonymous? Posted on December 15, 2014 by Glenn Fleishman and filed under Publishing, Podcasts. Jason Snell just left his editorial career of 20 years, most of it spent at IDG, and most of that at Macworld magazine. He's happily retooling his professional life to meet his interests: expanding The Incomparable network of pop-culture podcasts; launching Six Colors, his editorial site featuring reviews and reporting about technology, centered around Apple; and co-hosting the Clockwise and Upgrade podcasts on Relay.fm. He tells us about rebooting and starting new things. Glenn Fleishman, your loyal host of The Periodicalist, is shutting down The Magazine after 18 months of ownership and trying to make it thrive. He's learned a lot that he shares in this episode. He's also recently put The New Disruptors podcast on hiatus after nearly two years of weekly episodes, when sponsorship flagged. Glenn talks about the joy of ending things when the time comes, and some of his thoughts about the future. Jason and Glenn spend the first half of this episode reviewing why periodicals, including the IDG empire, couldn't escape the innovator's dilemma, and see the freight train of the Internet bearing down on them; and the second half, looking into the limitations of the current methods of reaching readers and listeners. Their conclusion: email newsletters and podcasts still have a lot to offer. The Periodicalist is an irregularly produced series looking for a sponsor to help underwrite regular production of episodes. We would love to find a partner that wants to feature the podcast as part of their larger efforts at looking forward at the future of publishing. Get in touch if you're interested. Pat McGovern was the beloved founder of IDG, genuinely well liked and respected. He died in early 2014. Glenn's long-time editor at the Economist, Tom Standage, wrote Writing on the Wall: Social Media — the First 2,000 Years (2013), which explains the remarkable predecessors of what we think of as modern social networks. This marvelous obituary of Carl Schlesinger, a New York Times typesetter, tells of his role in capturing the last night of hot-lead typesetting at the Times. He later became an amateur tap dancer. Subscribe to Lisa Schmeiser's newsletter, "So What, Who Cares?" Ben Thompson has built a nice business, Stratechery, on writing smart things and offering an affordable subscription to his analysis. The death of the Web/rise of apps news cycle featured the Wall Street Journal's Chris Mims' provocative "The Web Is Dying; Apps Are Killing It"; a rejoinder at Quartz by Zach Steward, "The web is alive and well"; and John Gruber's dissection of Mims' story at Daring Fireball, "Native Apps Are Part of the Web." Marco Arment created the Overcast app for podcast discovery, subscriptions, and listening. I highly recommend it. Monument Valley is a lovely game that recently added an expansion set of levels. The Magazine adopted TypeEngine as its app in the summer; TypeEngine is an periodical publishing platform that pushes to custom apps. Posted on November 23, 2014 by Glenn Fleishman and filed under Publishing, Self-publishing, Freelancing. Hello, folks who listened to The Periodicalist! Two bits of news. My publication, The Magazine, is ceasing publication after the December 18th issue. It's been a wonderful run, but the finances no longer work. We've launched a Kickstarter campaign to fund a new anthology drawn from our second year in publication (October 2013–October 2014). The funds will let us print a hardcover edition and release the electronic version for free. Posted on October 14, 2014 by Glenn Fleishman and filed under Ebooks, Publishing. Thanks so much for listening to The Periodicalist. I'm very pleased with our pilot season of six episodes, and I'm looking for a sponsor for future seasons of 6 to 12 episodes who want to help get the program heard by hosting it on their site or distributing to their audiences. Production costs are modest. Please get in touch if you're interested. Posted on August 24, 2014 by Glenn Fleishman and filed under Administrative. Download this podcast or subscribe to our RSS feed. Cartooning (and more broadly illustration) has a long history on the Internet: people seem to have figured out how to send images in part to send comic strips and other cartoons to each other before LOLcat photos became dominant. Glenn Fleishman is joined this episode by Matt Bors, a long-time political cartoonist and illustrator, a Pultizer finalist, the recipient of the presitigious Herblock Award for political cartooning. Matt is part of the team at Medium that is redefining online publishing, and is where he runs the section called The Nib. Sponsor: This podcast is made possible through the generous support of MailChimp, which is underwriting our first six episodes. 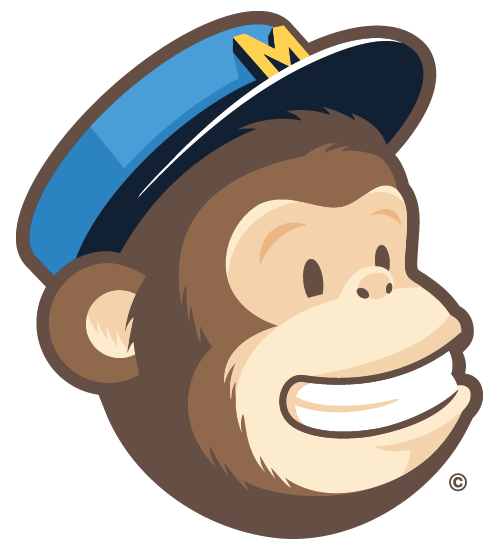 MailChimp lets you manage email lists of any size. They also make hats for cats and dogs. Posted on August 20, 2014 by Glenn Fleishman and filed under Podcasts, Cartoons, Illustration. Glenn Fleishman is joined by Jason Snell, the editorial director of IDG’s consumer division and impresario of The Incomparable Radio Network, to talk about how publications can appeal to people who aren’t the most obsessed about a topic. Cultivating a community of slightly interested people, who represent the largest potential audience segment, is hard to do. Let us know what you think and your ideas for future shows: send email to listen@periodicalist.com. Jason has a rich background in experimenting with web sites and early content-management tools. Jason started the short-fiction online magazine Intertext in 1991. He was also one of the folks behind Teevee.org. Jason created a version of TeeVee run by NetCloak. TidBITS was fed from a FileMaker database. Glenn once helped try to put the Yale course catalog online (in 1990), and Prodigy was a reasonable suggestion as a place to host it. Captive market for advertising (no other places to advertise). Second-class periodical mail was cheap. Newsstand prices weren’t unreasonable for single issues. The publication cycle used to be frenzied as one approached the date (weekly, monthly, etc.). Jason describes changing from a punctuated cycle to a continuous one. Originally there was separate print and web staff. The Seattle Times and Post-Intelligencer had this odd joint venture run by the Times that handled the web side for both. Wired Digital was run and owned separately from Wired magazine for eight years. Glenn helped produce the 1991 Time magazine man-of-the-year cover. Jason and Glenn both came from backgrounds involving enthusiasm, whether professional, consumer, or personal. The gadget sites might have set the tone for how news sites developed. Posting all your stories at once, one time doesn’t work. You have to spread out posts across a day. Dozens of stories every day. The old value proposition for publications was based on yield. You paid a small amount of money and got a thick bunch of stuff, only some of which was interesting to you. New York Times Innovation report was leaked, maybe strategically. The current approach drowns out those with mild interest. Yahoo Tech’s launch caused tech writers to roll their eyes, but it’s aimed at a general audience. Where is the revenue pipe for making a site that is casual? Compared to a magzine that was general in focus but appealed to narrower and broader audiences at once. People who come all the time. Those who have a specific need and come and find a single page. TidBITS has a long-running weekly mailing list that grew into a web site, but its mailing list continues to remain very important. Take Control Books as a division of the publication is outside the churn of Web publishing, plus the patronage model for supporters. The Magazine is fully subscriber supported and we publish every other week. It’s a general-feature publication. Finding the audience has been maddening. Medium commissions material and works as a blog platform, but it has no chronological focus. The stuff bubbles to the top that is most interesting to readers. Podcasts have become the broad overview that we can’t find on web sites! They are weekly, fortnightly, monthly, and remain popular. They air their live recording. People participate in the audience (the chatroom). This Is My Next at The Verge, which doesn’t have a dedicated section or landing page. Boing Boing shifted from a firehose to a slower pace: firehose (the old blog style feed) is on the left, and the main part of the page is a slower-moving set of features. Posted on July 16, 2014 by Glenn Fleishman and filed under Podcasts, Publishing, Enthusiasm. 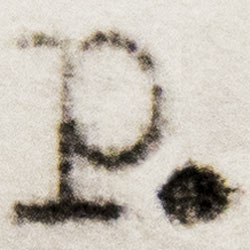 Modern publications — print, born digital, and hybrids — survive typically with a small amount of staff and small to large armies of wordsmiths for hire. In this episode, co-hosts Glenn Fleishman of The Magazine and Jane Friedman and Manjula Martin of Scratch magazine talk the freelance life with guest Jen A. Miller, a successful technology, medical, and running reporter. Can people make a living as a freelancer? And what’s the different between a freelance writer and a freelance reporter? Have rates really not gone up at some publications for 30 or more years? And much more. How has freelancing changed recently? Be sure to define your terms! Is freelancing now more marketing than writing? Are many publications open with their pay rates? How to keep up with “the next thing”? Should we get a degree in journalism/writing? Posted on June 18, 2014 by Glenn Fleishman and filed under Podcasts, Freelancing. Publishing your own work has never been easier, but easy is a relative term as co-hosts Glenn Fleishman and Matthew Amster-Burton discuss. Glenn recently produced a hardcover book with ebook and print-on-demand editions. Matthew has a series of ebooks underway. The two have both worked with conventional publishers in the past. The devil is in the many thousands of details: one wrong move and countless hours can be wasted. The fork is your enemy. Why crowdfund and not self-fund? Pages from Apple is pretty decent. Glenn's tip: Choose the correct trim size! Shipping (for offset). Note: International shipping will cost a million dollars. Glenn's thoughts on The Magazine: The Book, Year 2. Posted on June 11, 2014 by Glenn Fleishman and filed under Podcasts, EPUB, Ebooks, Publishing, Self-publishing. Download, listen to the episode above, or subscribe to our podcast RSS feed. EPUB and its derivative Amazon MOBI format are the lifeblood of electronic readers and ebook software. Mastering the details of getting a good workflow and a consistent result requires arcane knowledge and remarkable patience. Joining host Glenn Fleishman of The Magazine on this episode to discuss perfecting EPUBs are Tonya Engst of TidBITS Publishing; Michael E. Cohen, an ebook guru; and Serenity Caldwell of Macworld magazine. Are all EPUBs created equal? Could be tricky for users used to PDF? Can't you just choose Export? Cue laughter. Watch Serenity's talk at the Çingleton Deux conference in 2012. Markdown is becoming more and more useful across the web. Posted on June 4, 2014 by Glenn Fleishman and filed under Podcasts, Publishing, EPUB, Ebooks. How can we keep up with the constant change in publishing? Provide a value and service? Provide sufficient revenue for authors/publishers to invest? Are libraries suffering from Blockbuster Syndrome? Rights to books seems to be much more complicated than other media channels. Is there a gatekeeper for the overwhelmed reader? Good for authors besides a paycheck? Where does an e-book go when it dies? Do publishers even know what is going on? Glenn predicts a new dystopian future with algorithm created books based on demand. Ultimately, e-book subscription services have a big struggle ahead of them. Posted on May 27, 2014 by Glenn Fleishman and filed under Podcasts, Publishing, Subscriptions and tagged Netflix Amazon Oyster Entitle. The world of publishing in digital and analog form changes underneath us seemingly every day. Nobody — and I mean nobody — truly knows what the future will bring, though plenty pretend to have the answers. We don't have answers. We have questions to explore. I'm Glenn Fleishman. I'm the owner, publisher, and editor of The Magazine, a digital periodical nearing its second anniversary of every-other-week publication of non-fiction reportage and essays. While I've been on the bleeding edge here and elsewhere, every day is a new adventure. We're going to investigate many nooks and crannies, looking at print and electronic; books, magazines, and blogs; offset and print on demand; card games and interactive books; anything that involves producing something and publishing it in a medium. The show will delve into technology and technical matters, including some of the nitty-gritty details. Future episodes could include site visits to physical manufacturing plants for both analog and digital media, such as print-on-demand production facilities. We've planned a six-episode pilot season to find out whether there's enough interest in creating additional seasons or regular production. We'll be releasing our episodes every Wednesday for six weeks, starting May 28, 2014. You can subscribe to our podcast via our RSS link or through iTunes. We want this to be interactive: we want to hear from you so that we know more topics you want us to cover or we can answer questions we passed over in an episode. We hope after pilot season to schedule tapings so that you can listen in and offer feedback or question as we go, and we plan to experiment with Google Hangouts. Send email to listen@periodicalist.com with your initial thoughts or any feedback. Starting a magazine, whether as a hobby or a business. Will people pay for content? What kind? Medium.com and the future of blog-platform publishing. Native apps versus Web apps for publications. Responsive design for Web periodicals. Simultaneous publishing to multiple media. Crowdfunding books, magazines, and more. How to bake broad inclusivity into the core of your publication. Permission, Creative Commons, and usage. Comics, webcomics, merchandise, and publishing. Working with freelancers for all stages of production and publication. Apple Newsstand, Google Play, and beyond. If you're interested in sponsoring a six-week or longer run of The Periodicalist, which brings with it thanks, text, and links on our site, as well as in-podcast sponsorship messages read by the hosts, please get in touch with Glenn. Thanks to Gabe Bullard for taking pictures of words typed on his typewriters! Posted on May 17, 2014 by Glenn Fleishman and filed under Administrative. Subscribe to the podcast via RSS, in iTunes, or in your favorite podcast player. The Periodicalist is a production of Aperiodical LLC, the publishers of The Magazine. This podcast is licensed under the Creative Commons BY-NC-ND 3.0 license. Feel free to distribute it intact and with attribution to us by linking back to our site. We only ask you don't offer it for sale. Contact us at listen@periodicalist.com. Subscribe to our episode and otherwise infrequent announcement mailing list by filling in and submitting this form. Thank you for subscribing! We will send our very few updates, we promise.